SPOILER ALERT – Do not continue reading if you don’t want to know what happened on The Walking Dead! One of the most beloved characters on The Walking Dead was killed off during the season eight mid-season finale this weekend. 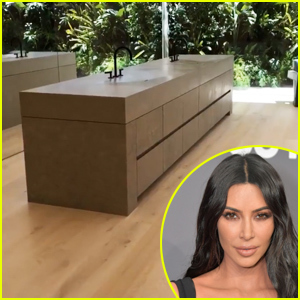 Now, the actor’s father is slamming the show for the character’s death after the actor was allegedly promised a couple more years on the hit series. 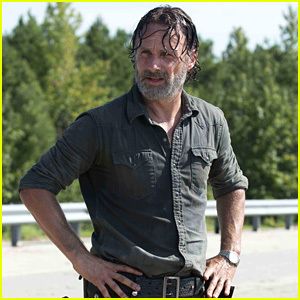 The Walking Dead just came to its terrifying midseason conclusion on Sunday (December 10) – and fans were horrified to see a survivor from the very first episode get bit! Bella Thorne Is Being Watched in 'Keep Watching' Trailer! The trailer for Bella Thorne‘s upcoming movie Keep Watching looks so scary! The horror movie, which was filmed a few years back, will finally be getting a release and it looks like it might terrify a lot of Bella‘s young fans. Keep Watching is about a family that becomes imprisoned in their home by intruders, who force them to play a life-and-death game, where the mysterious rules become clear as the night unfolds. Bella stars alongside Natalie Martinez, Chandler Riggs, and Ioan Gruffudd in the movie, which doesn’t yet have an official release date. 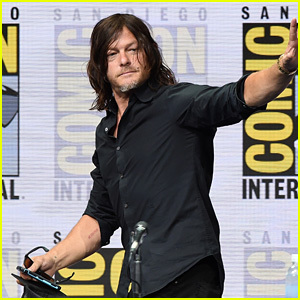 Norman Reedus waves to the fans while stepping out for The Walking Dead panel held during 2017 Comic-Con on Friday afternoon (July 21) in San Diego, Calif.
Other cast members in attendance included Andrew Lincoln, Jeffrey Dean Morgan, Melissa McBride, Danai Gurira, Lauren Cohan, Chandler Riggs, Lennie James, Seth Gilliam, and Khary Payton. 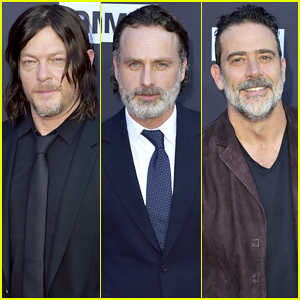 The trailer for season eight was unveiled during the panel and showrunner Scott M. Gimple also paid tribute to John Bernecker, the stuntman who died after an on-set accident earlier this month. 'Walking Dead' Season 7B Gets Official Synopsis & Photos! The Walking Dead is set to return for the second half of season seven next month and the first photos and an official synopsis have been revealed! 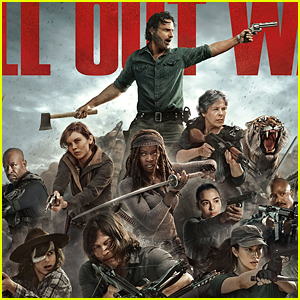 While Rick (Andrew Lincoln) and his group spent the first half of the season under the rules of Negan (Jeffrey Dean Morgan), the second half of the season will focus on them preparing to go to war with him. Here’s the official synopsis: “Rick’s group will find out yet again that the world isn’t what they thought it was. It’s much bigger than anything they’ve seen so far. While they have a singular purpose – to defeat Negan – it won’t come easy. More importantly, victory will require more than Alexandria. They need the numbers of the Kingdom and the Hilltop, but, similar to how Rick felt, Ezekiel (Khary Payton) and Gregory (Xander Berkeley) do not want bloodshed. To convince them otherwise will take more than speeches. The lengths Rick and the group will have to go to in order to find weapons, food and new fighters is nothing short of remarkable. 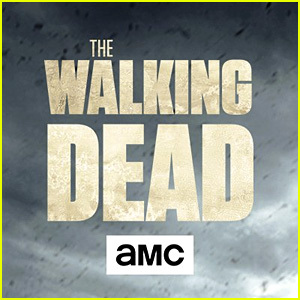 Make sure to catch the 7B premiere on Sunday, February 12 at 9pm on AMC!